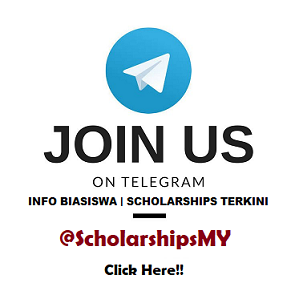 The Kijang Scholarship is awarded to eligible individuals to pursue pre-university programmes. Minimum 8As (A and A+ only) in the SPM 2018 examination. Not exceeding 19 years of age on 1 July 2019. The sponsorship to pursue a bachelor’s degree is subject to the scholar meeting the Bank’s approved criteria. CLOSE DATE : 29 MARCH 2019 | APPLY NOW!